What a great idea! I've never thought to use Costco for crafty type supplies. 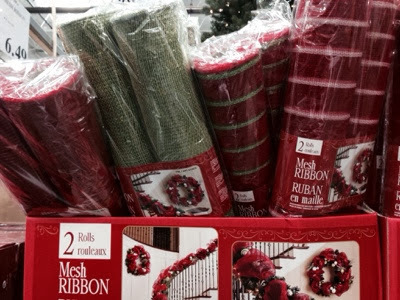 The mesh ribbon is in the Christmas section, but I always check the office supply aisle. Occasionally, they have craft supplies there (glue dots, craft punches, interesting papers).